WORKSHOP | Imai KInpaku Co., Ltd. 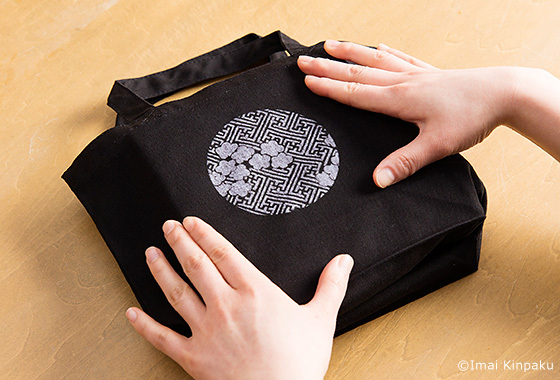 Ensure the glue is applied thinly over the tote bag. 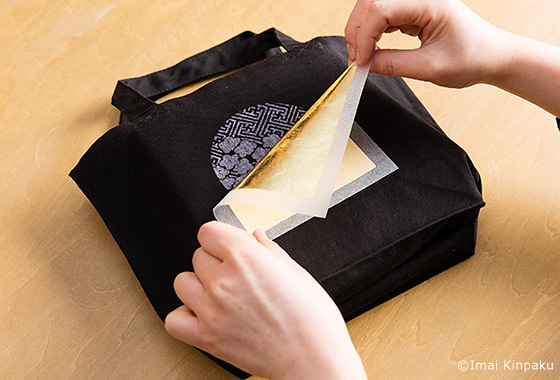 Cover the glue pattern with the sheet of Kinpaku. 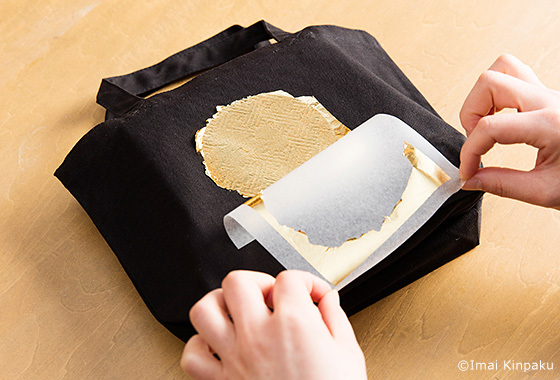 Press down by hands on the sheet of Kinpaku on the glue pattern. Gently remove the sheet of Kinpaku. 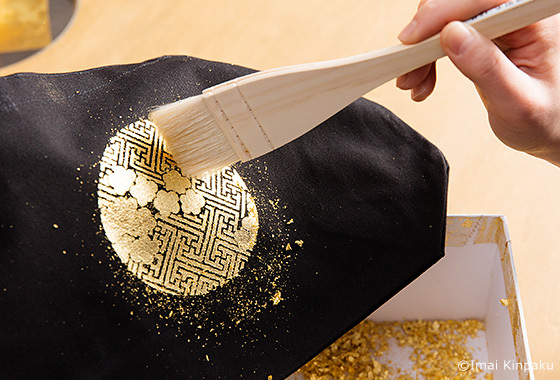 When the glue has dried, the brush to remove any excess Kinpaku. 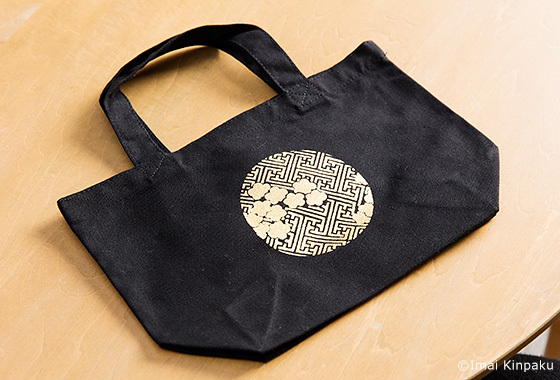 All processes for decorating the tote bag with Kinpaku patterns are finished.